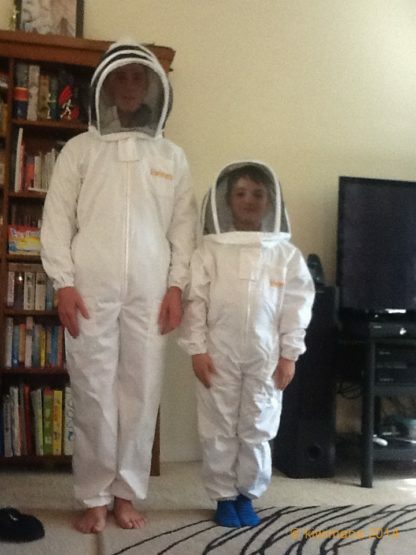 A beekeeping suit for the smaller beekeepers in your family. 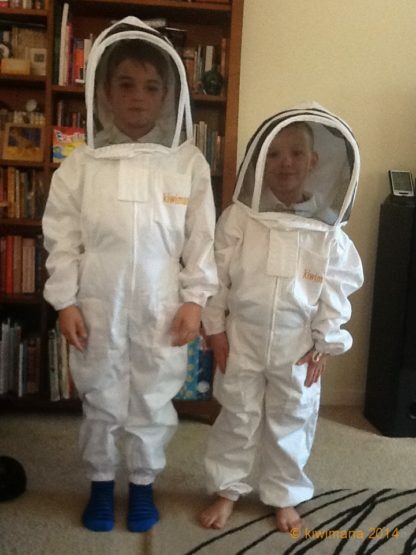 Get the young ones started early with they very own Beekeeping Suit. Children are the future of beekeeping and we need to encourage them as much as possible to be with the honey bees. 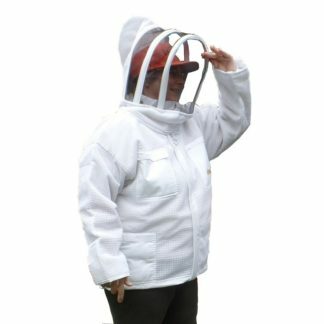 This product is our Children's Beekeeping Suit. 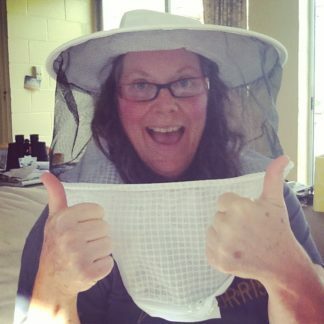 So they can they can help with the bees or manage their own Bee Colonies in the future. Build their confidence by than getting them their very own Children's Beekeeping Suit. 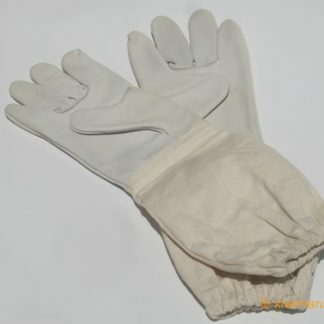 Made from 100% cotton and come with a detachable fencing style veil. 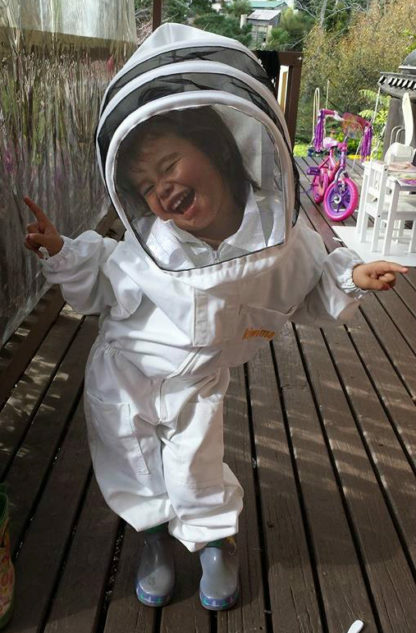 Being a full suit the children are less likely to get propolis on their normal clothes. We recommend they are worn with gumboots (wellingtons), and the Beesuit trouser are pulled over the boot. 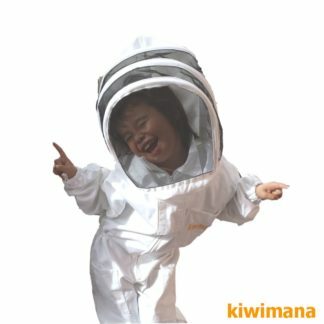 There are four sizes of the Children's Beekeeping Suits, from Smallest 4XS, 3XS, 2XS, XS the largest size. These are suitable for children of age ranges 5-6, 7-8, 9-10, 11-14. However, children vary greatly in height for their age so we recommend always going for the larger size where there is doubt. The Small size is suitable for children of a maximum height of 5 feet (1.52m). NB: Shape and sizes of children can vary – this is a basic size-guide. Zofia loves wearing her suit thanks nice and thick. My grandson loved his bee suit & I was impressed with the good quality. Thanks. My little boy is in love with his bee suit, I find it very difficult to get it off him! It’s fantastic quality and we can’t wait to test it out, thank you! Great suit, quality material and well made. Good to be able to engage children in bee work and understanding the importance of bees. Larger than anticipated but thankfully children grow ! What a great product!! It is excellent quality. I am very impressed with the suit and also with the service received from Kiwimana. My Grandson is enjoying wearing his suit and I think he looks “the bee’s knees” in it! 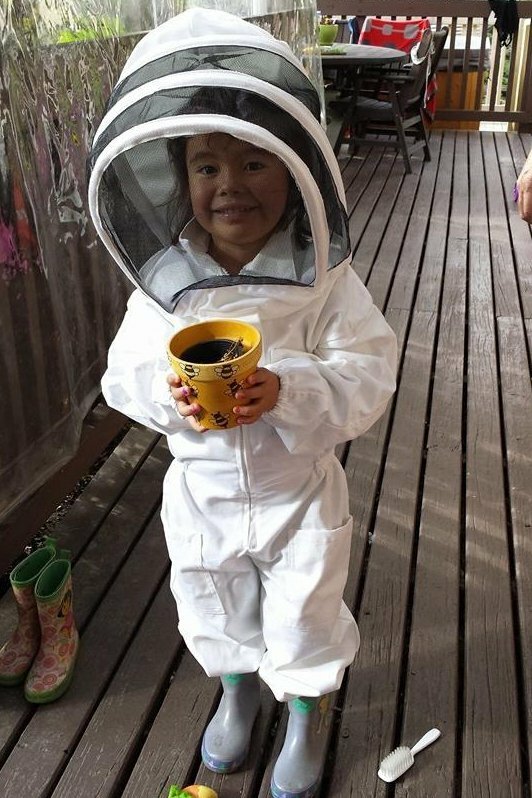 A perfect fit for my 7 year old Girl with room to grow in, made well with high quality materials to last, I recomend this suit to help children learn beekeeping safely. We love our bee suit. I can’t get my boy out of it. He has tested it out when dad was out with the bees and it was perfect thankyou!!! Your service was amazing also, thanks for your help. Beautiful well fitting little suit. Thank you. Thanks for your help guys. Great service and an awesome product. My daughter loves it. A fantastic Happy Birthday present! My 6 year old twin grand -daughters wanted to wear it to school! They were happy to take turns in helping Nannie at the hives. Amazing service! Thanks to Margaret and Gary your help is so much appreciated. Great bee suit, our little boy is only 20months old, so it is massive on him but we just roll the sleeves and bottoms up and it does the trick!